Supplying the Newfoundland & Labrador advertising, film, & television industries with local talent. Casting by Maggie is a casting agency in St. John's, Newfoundland and Labrador. We keep a database of people who are interested in extra work, modeling and auditions. We link children and adults with different advertising agencies, TV shows or photographers that require models or actors for different jobs. We are hired by film or television producers, ad agencies, and photographers to find talent for their projects. These projects may demand a certain age, look or person with specific talents or skills. We also rent out the database to film and production companies so they can access your profiles and hire you directly. We cross reference our database, choose suitable people and contact them to see if they are interested and available for the project then submit a selection of options to the producers. We may audition and / or submit up to 5 times as many people as required. 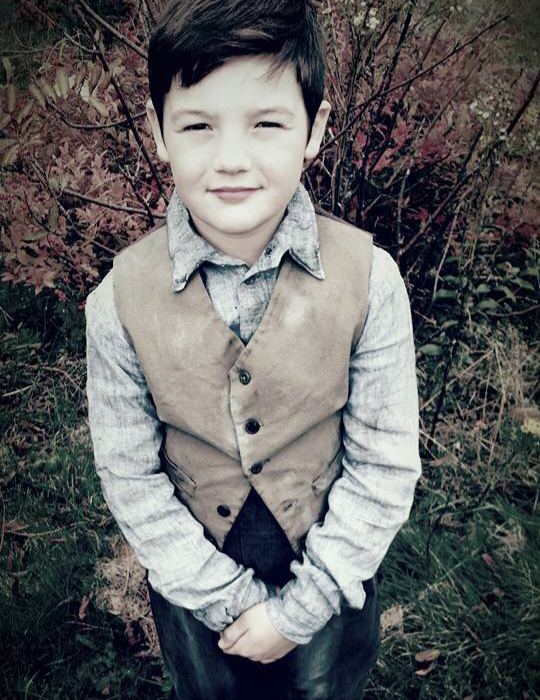 Gavin Haley, in wardrobe for his role as an orphan in the feature film 'Maudie'. "I had a lot of fun on the set of Maudie, getting my wardrobe, hair & make-up done. The best part was getting a high five from Ethan Hawke!" Hudson & Rex TV Series CASTING CALL FOR A SPECIAL DOG!